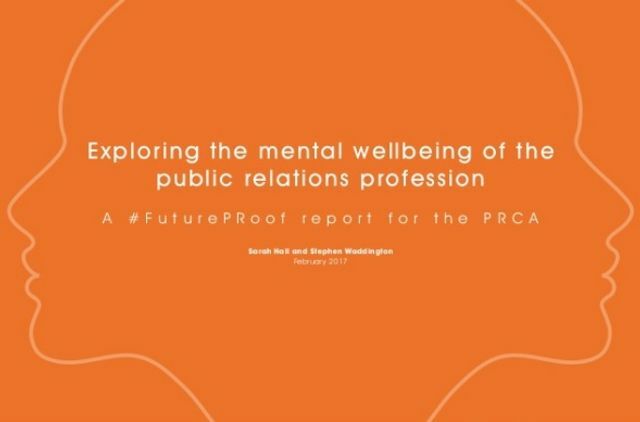 The #FuturePRoof report lifted the lid on mental health in the public relations profession, and attempted to characterise the issue, signpost potential solutions, and identify best practice. Yesterday, on World Mental Health Day, the PRCA has followed up the #FuturePRoof project by launching a Mental Health Toolkit to raise awareness about the issue and to give practitioners the tools to manage their mental health. Throughout the toolkit there are resources from leading mental health organisations such as Mental Health First Aid (MHFA) England, Mind, and Business in the Community. It is also partnering with MHFA England to offer free training courses. The PRCA is offering 16 places for PR professionals to train as Mental Health First Aiders. The defining moment for the project for me came during the research phase when a friend contacted me via Facebook Messenger. He shared an employment contract that cited mental illness as grounds for dismissal. It’s an extreme example of how mental illness is managed within the public relations. It’s also illegal. But the reality is that mental illness in public relations profession is frequently ignored, or managed as a line management or performance issue.